Top is an herbal concentrate designed to help maintain mental and emotional balance. Top is formulated to enhance your overall sense of well-being, so you may feel well and think clearly. 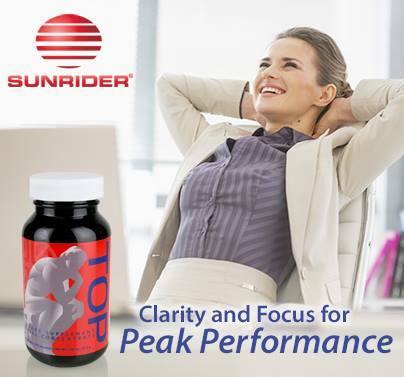 Sunrider International – Top: for Clarity and Focus for Peak Performance! Top® is ideal for anyone who needs to improve concentration and cognitive ability while at work, school, or in everyday life. Key ingredients include Chinese mint leaf, honeysuckle flower, and yeuan wu root. And Top® won’t cause a sugar or caffeine crash, because it’s all-natural—free of chemicals, artificial sweeteners, and added stimulants. Be the first to review “TOP” Click here to cancel reply.